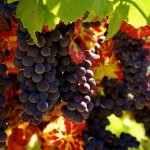 Vino Vargas is nestled in the rolling hills of the Northwest Paso Robles region. Our modern winery is both an efficient example of winemaking and a warm place for you, your friends and family to discover some truly unique wines. Your tasting appointment will be personal, educational and fun. This means that you get to interact with our winemaker Pedro or our sommelier Vicky and really talk about the wines, winemaking philosophy or just sit back and enjoy the magnificent view. Use our reservation form or please give us a call at 805-369-1440 to make a reservation for your personalized wine tasting at our Paso Robles winery. Vino Vargas produces small lot, single vineyard wines hand-crafted to achieve balanced wines with the best fruit Paso Robles has to offer. Family owned and operated, our winery assures you receive personal service and attention among the beautiful views of nearby vineyards. 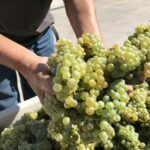 Winemaker Pedro Vargas works with a variety of grapes from Paso Robles and the premier wine regions of California to craft luxurious single-vineyard wines. Each wine has a unique name and unique story and has garnered awards from prestigious competitions such as the San Francisco Chronicle International Wine Competition and the Sunset Magazine International Wine Competition. Starting as early as August and through to early November, visitors can see the process and smell the aromas of winemaking as it happens. 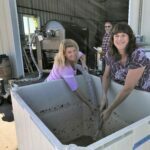 Learn what “crush” means, taste fermenting juice right out of the tanks and get your hands dirty with a little purple.